The Lincoln Navigator offers a cavernous, lavishly finished interior; a muscular turbocharged engine; a long list of coddling available features; and wonderfully polished road manners for a full-size luxury SUV. Top-line models crest the $100K mark, fuel economy isn’t great, and the extra-large dimensions make close-quarters maneuvering difficult. 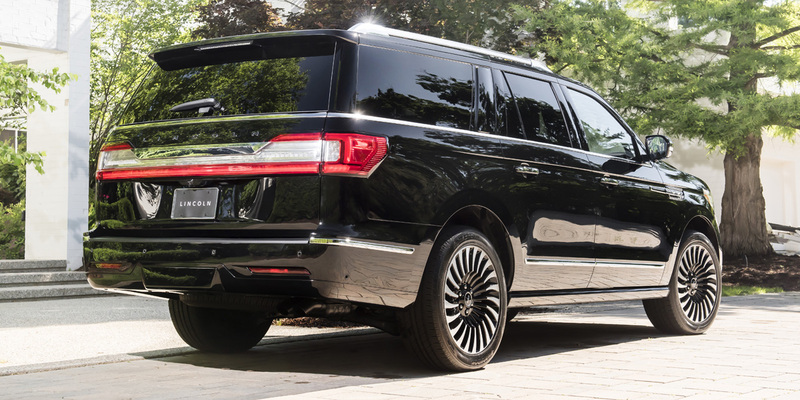 Like its Cadillac Escalade and Range Rover rivals, the Navigator comes in two body lengths—the extended-length Navigator L is about nine inches longer in wheelbase and almost a foot longer overall than the regular-length version. 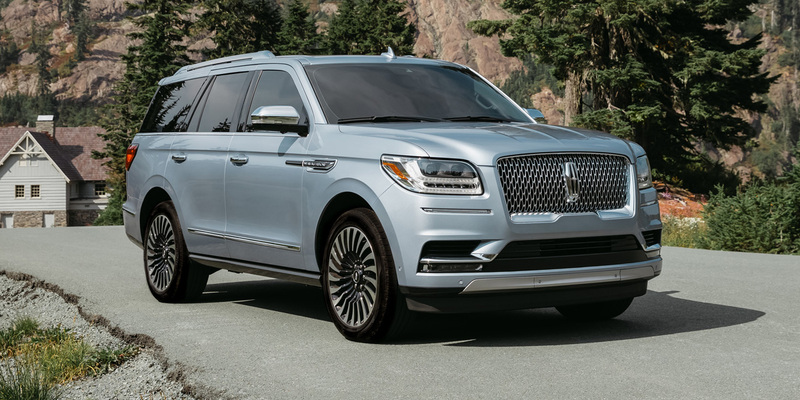 The Navigator is Lincoln’s flagship full-size SUV; it offers seating for up to eight people and can tow up to 8700 pounds. The Navigator’s basic underbody architecture is shared with the Ford Expedition, but the Lincoln boasts distinctive upscale styling and an especially luxurious cabin with several exclusive features. 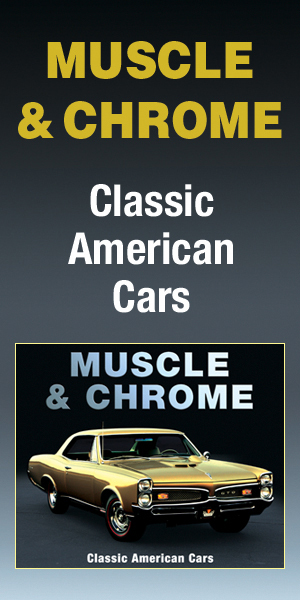 Trim levels ascend through Premiere, Select, Reserve, and ultra-luxury Black Label models in regular and extended-length “L” body styles. 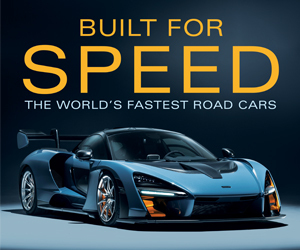 The sole powertrain is a turbocharged 3.5-liter Ecoboost V6 that makes 450 horsepower and is paired with a 10-speed automatic transmission. Rear-wheel drive or 4-wheel-drive is available on Premiere and Select models; the Reserve and Black Label are offered only with 4WD. Available comfort and convenience features include a hands-free power liftgate, illuminated seat-belt buckles, 20-speaker Revel Ultima audio system, 30-way “Perfect Position” heated/ventilated/massaging front seats, rear-seat entertainment system with headrest-mounted screens, adaptive suspension, a WiFi hotspot, self-parking system, and a panoramic sunroof. Available safety features include forward collision warning and mitigation with pedestrian detection, 360-degree surround-view monitor, lane-keep assist, blind-spot monitor, rear cross-traffic alert, and adaptive cruise control. After its complete redesign for 2018, the Navigator sees no major changes for 2019. The Lincoln Co-Pilot360 suite of safety features is standard on all trim levels, and base prices are higher across the model lineup. The Navigator is rated at 16 mpg city/23 mpg highway with 2WD and 16/21 with 4WD. The Navigator L is rated at 16/22 with 2WD and 16/21 with 4WD. In Consumer Guide® testing, a regular-length Reserve 4×4 averaged 15.8 mpg in 60-percent city driving. In many ways, the Premium Large SUV class is the most decadent of all the categories we cover. These vehicles are extra-spacious, extra-powerful, extra-luxurious, and extra-capable, but also extra-hard-to-park and extra-thirsty at the fuel pump. 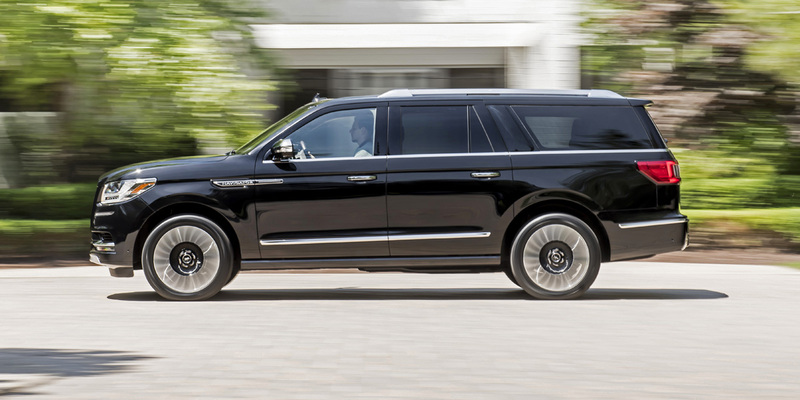 The Lincoln Navigator doesn’t fully transcend the inherent downsides of an extra-large luxury SUV, but it nonetheless offers outstanding opulence, passenger and cargo room, power, and driving dynamics for its class.